Can you believe Easter is right around the corner?!! This time of year really speeds by, which I am more than OK with. I love me some spring. 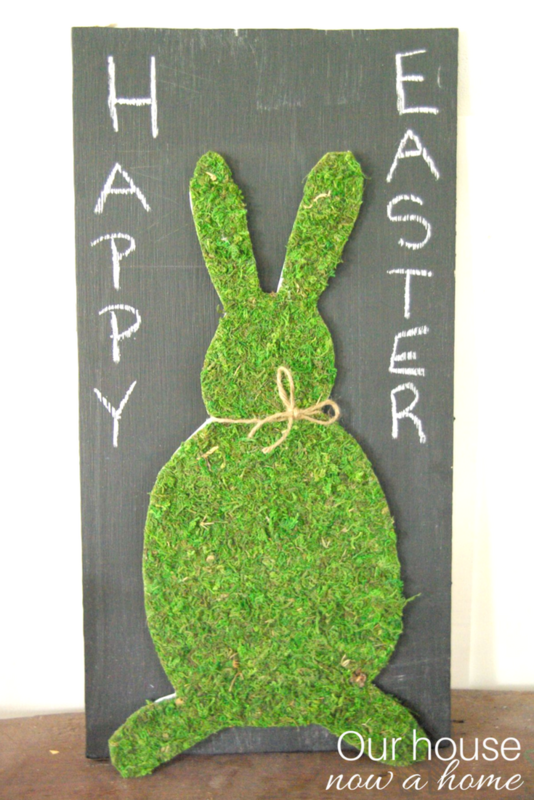 Today I am sharing this Easy to make Easter craft – moss bunny. Easter is actually the holiday that we get to host with Dale’s family, his parents and sisters all host one Holiday a year at their home and we got Easter. 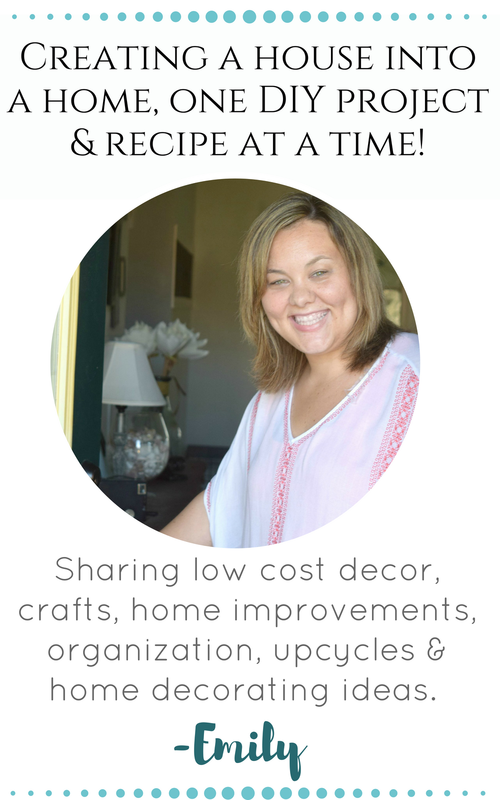 I like to organize a fun egg hunt, crafts, yummy food and of course decorating my home too! Taking my forever used idea of DIYing or crafting decor items allows me to decorate my home for Easter without going broke. This little moss bunny is the perfect decoration for Easter! The first step is to bring out your best Picasso, or you know elementary level drawing skills. Either way you will be fine. Draw a bunny shape into the poster board. 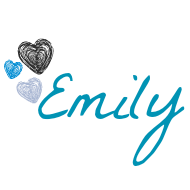 Since this is being made it can be as big or small as you want. I chose one large bunny, but an adorable option would be a group of smaller bunnies or two matching sized ones. Cut out the bunny shape. Then place the cut out on top of the moss paper that is turned over. 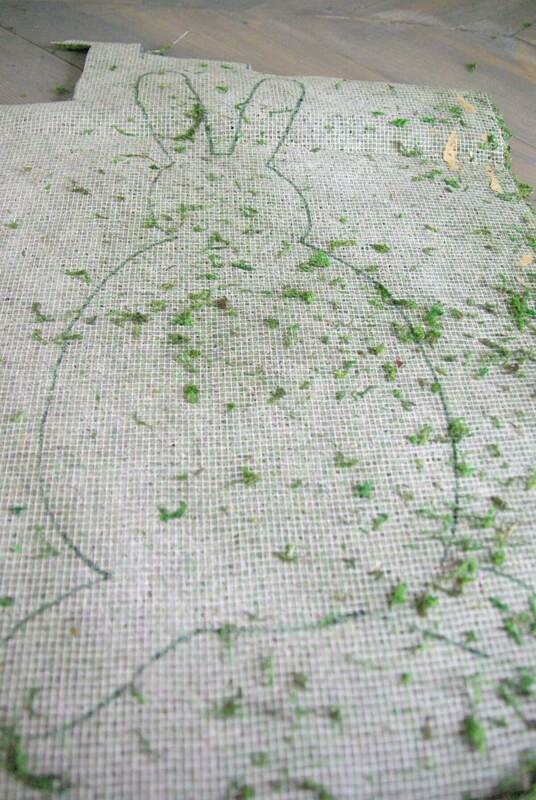 Trace the bunny shape onto the back of the moss roll. I made sure that they are lined up and even. 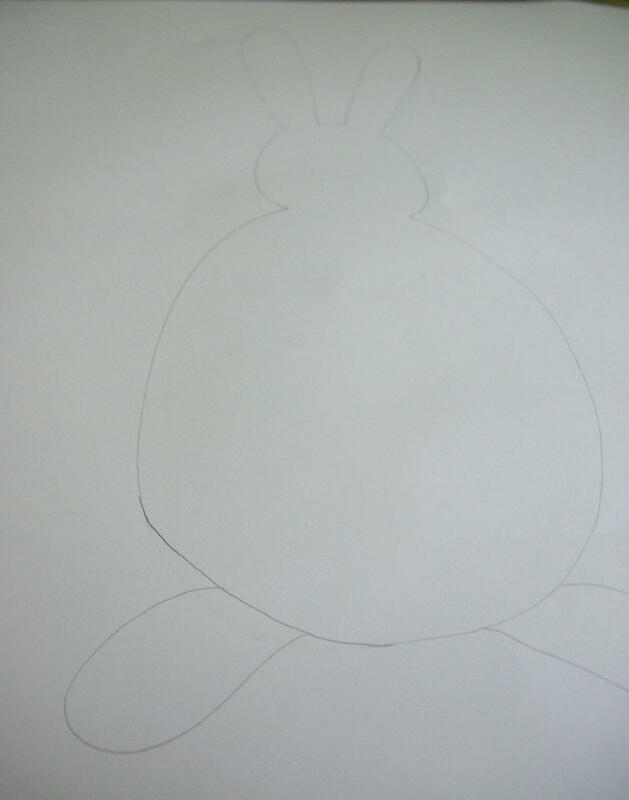 The final result is one moss bunny and one poster board bunny. 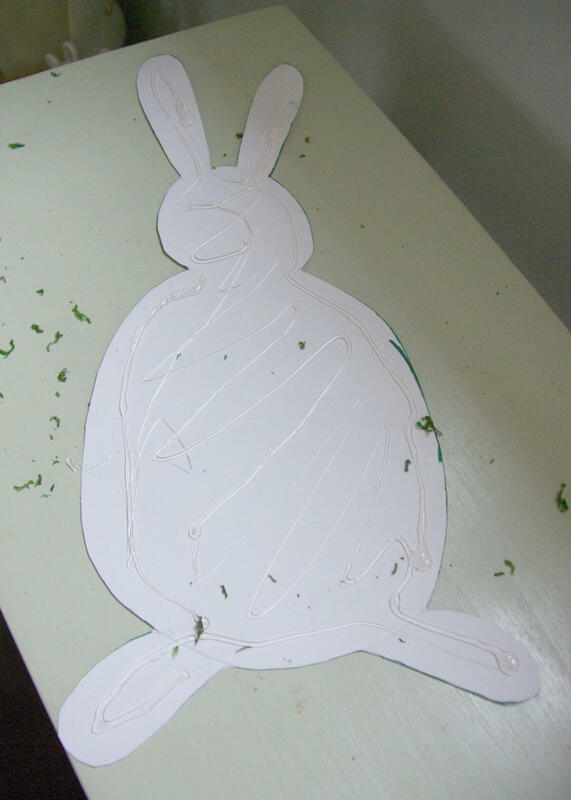 Putting a bunch of hot glue onto the poster board bunny. 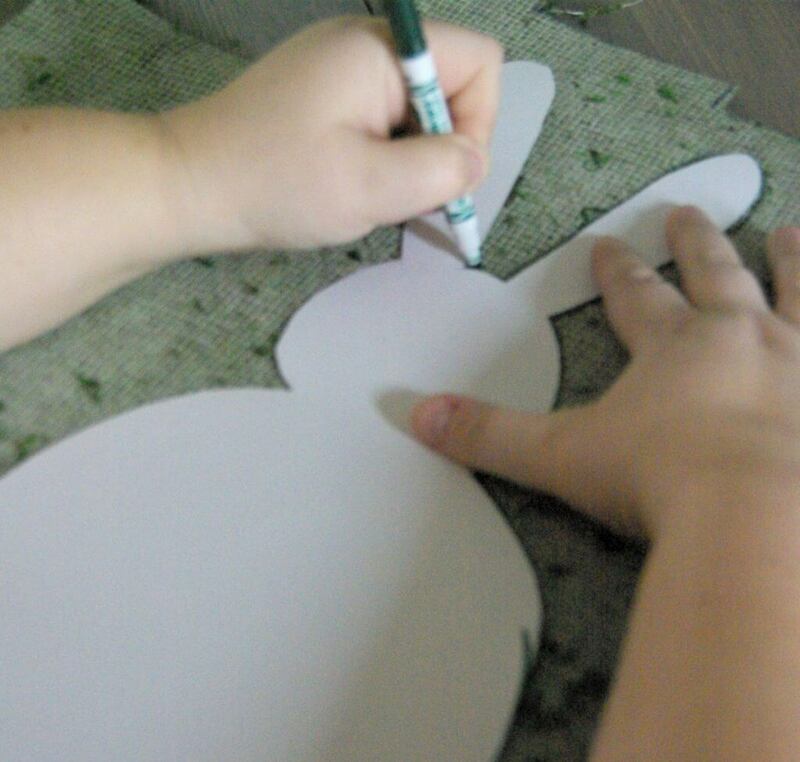 Placing the moss bunny onto the poster board, making sure it is all lined up properly. The reason I used the poster board as well as the moss paper is to give the bunny more support. This gives me more options to use it in my Easter decor. 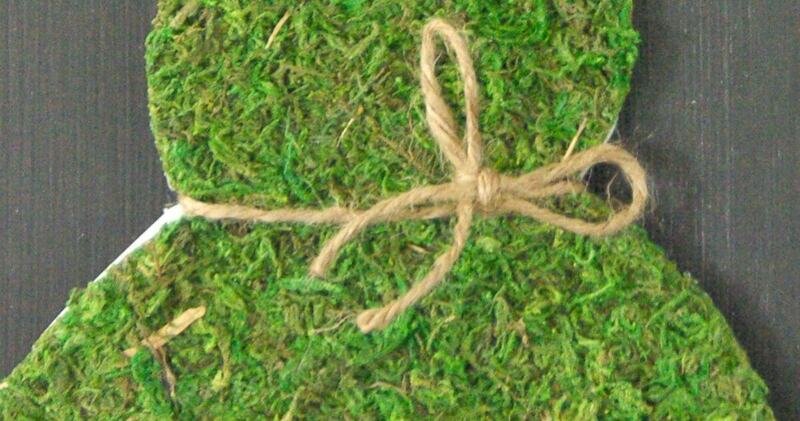 As a little added cuteness I tied a small bow with the twine. That is it! I had this small chalk board already that I simply wrote “Happy Easter” on. Setting this in the center. 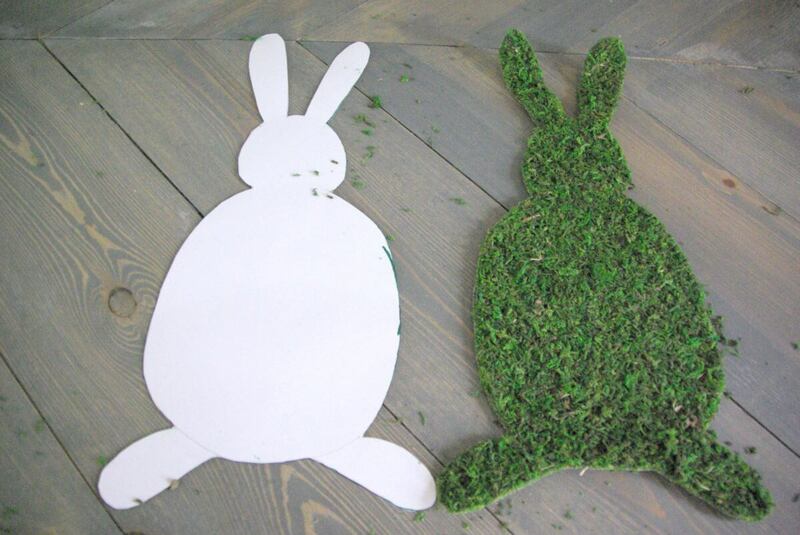 The options for this Easy to make Easter craft – moss bunny are pretty endless. It can be sat as a centerpiece for a cute Easter tablescape, used as decor on a fireplace mantel, or even attached to a front door to greet guests. I wanted to keep this open ended here for you guys, sharing this little cute bunny and how simple it is to make. Letting you decide how you will use it. The great thing about this is that because it was so quick and easy to make I can even make more of them if I decide I want a different sized one, or more than one. I also am able to sprinkle in some much needed Easter decor without spending a ton of money. 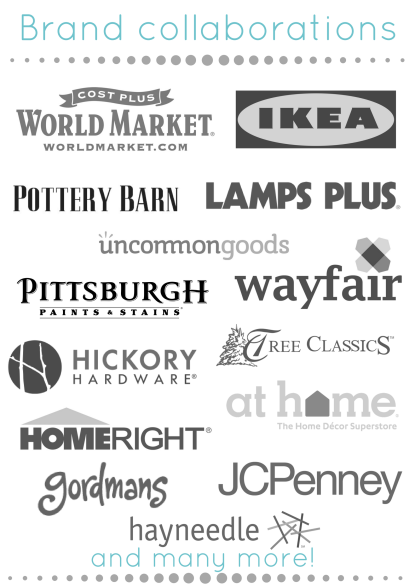 Which means more loot in the Easter egg hunt, and more food for our family to enjoy while we celebrate this holiday. 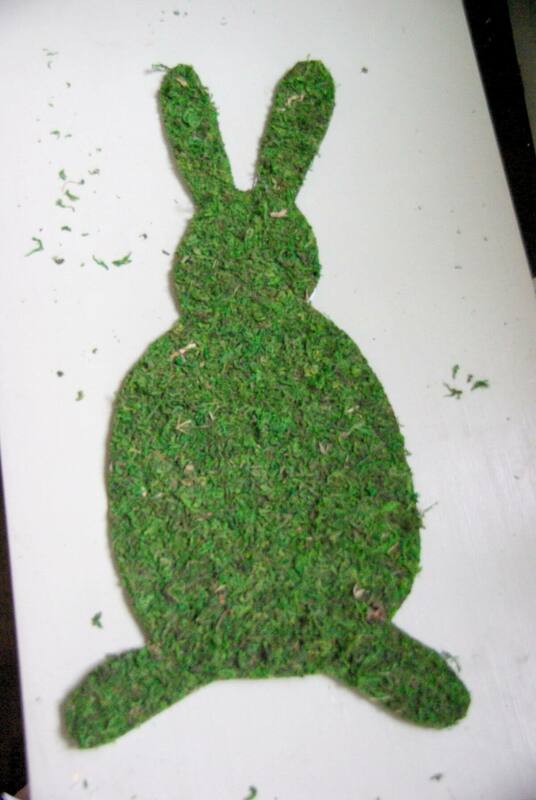 Easy to make Easter craft – moss bunny could even be a fun activity for older-ish kids to do during an Easter celebration. I think little toddlers or preschool aged kids might struggle with this, but my kids being 10, 8, and 6 would be able to do this with no difficulty. 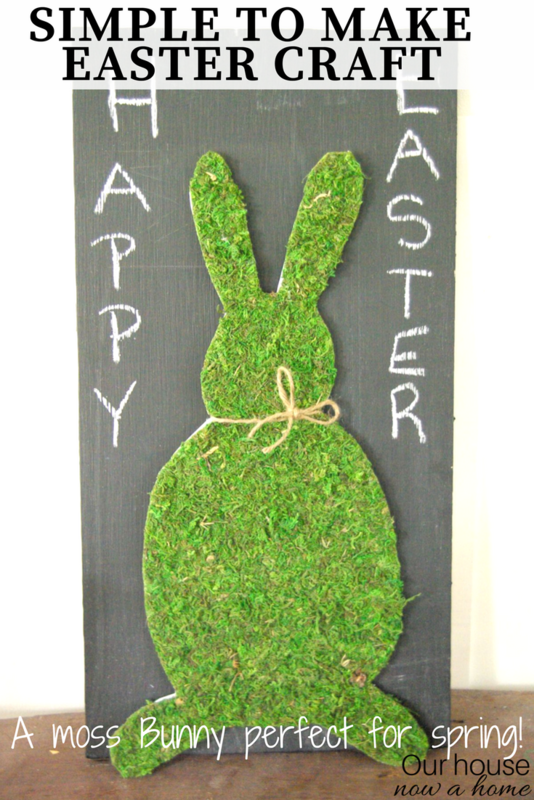 The plan is to purchase more moss paper and poster board, then let the kids make their own little Easter bunny during our Easter celebration. I didn’t know moss came in roll out sheets like this. 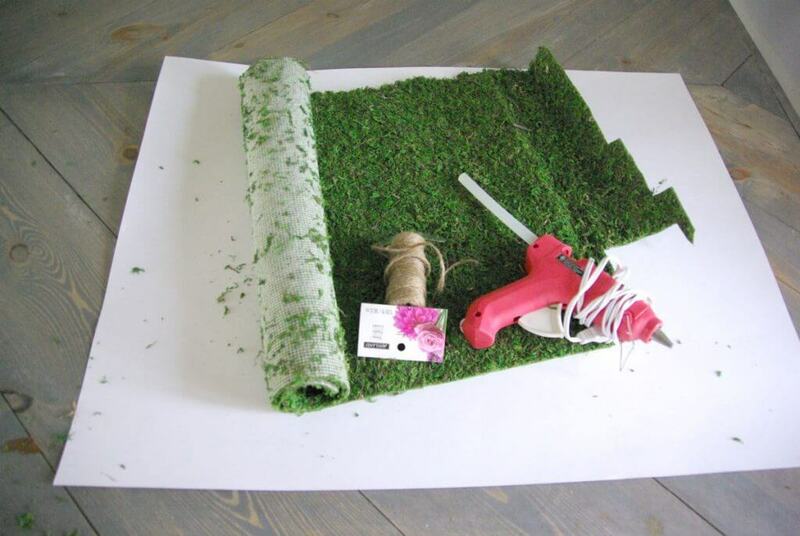 Opens up a whole new way to use moss with out much of the mess. Simple craft and perfect for Easter and Spring. That looks really cute and is incredibly creative. It is definitely easy to make so I know I can make it. I want to find ways to decorate my house and this is definitely a fun way to do it. What an adorable DIY. Great tip on gluing the moss to the poster board for added support. I have some 8.5 x 11 Easter templates with bunnies and chicks and this would be ideal for our Sunday School class craft. This is a really cute craft. I also like that you could leave it up for Springtime decorations, not just for Easter. What a fun idea! My daughter would like to do something like this. She’s all about crafts. While I am not very good at crafts I still love doing them! I appreciate that this is not only cute but EASY and even I can do this! I love that little moss bunny. He is so cute and the perfect decor for spring. I typically don’t like Easter themed decor, but this is absolutely adorable. 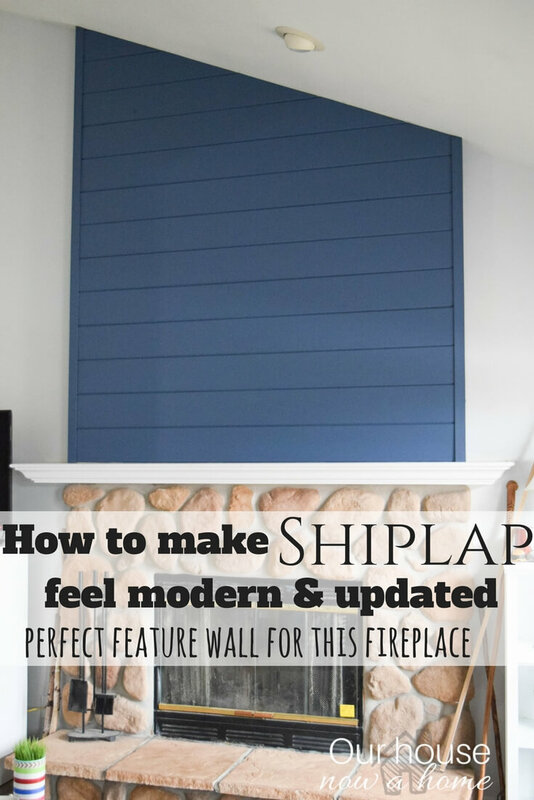 I love how it is a modern yet traditional design–it would fit perfectly in my home! This is adorable and something my kids can totally create! We might try to do it next week! It’s so much better to make your own decorations at home. 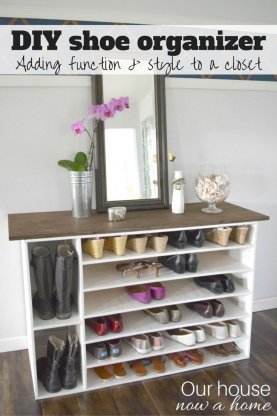 I think this is a lovely idea and it’s totally easy to make! Thanks for the step-by-step! That is adorable. It would go perfectly with the rest of my Easter decorations on my mantel. Thanks for such a fun idea. That’s beautiful! You always makes some great arts and craft projects, it looks easy but I know If I do it, it would be hard lol. I love filling our home with handmade things, especially for the holidays. 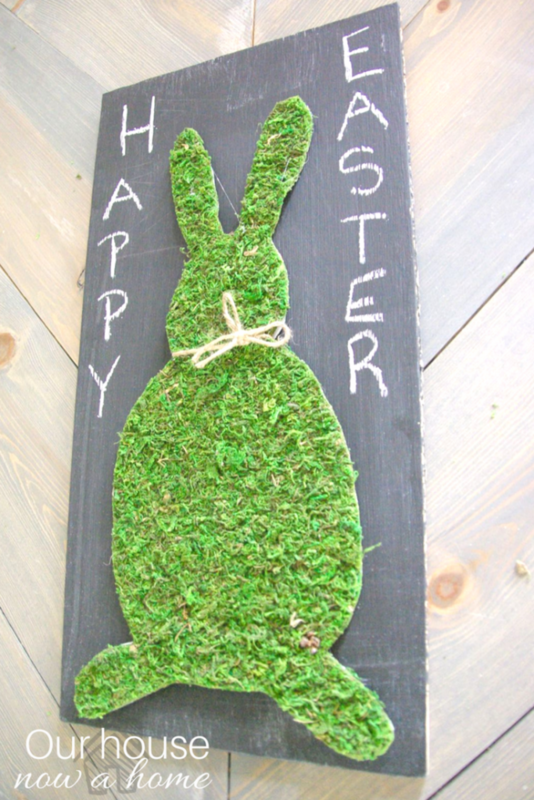 I know I’ve got some moss on my craft room to make this Easter decor. If there’s extra, I could make a shamrock for a last minute St. Patrick’s Day project too. Super cute. I am currently on the hunt for crafts my boys can do while at home on Easter with dad, and I’m in the hospital (having baby!) and this would be perfect! The moss bunny looks cute. 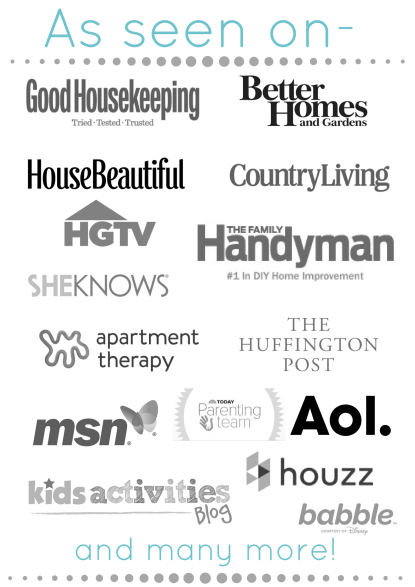 The fact that it is relatively simple makes it something the kids would really love to do. One more activity for the summer vacation. This moss bunny turned out really cute. I like making decor for different holidays, it adds a nice touch to the house. My kids would love this craft. I have all the materials to do this too! How cute! I didn’t even know they sold moss sheets at the craft store. 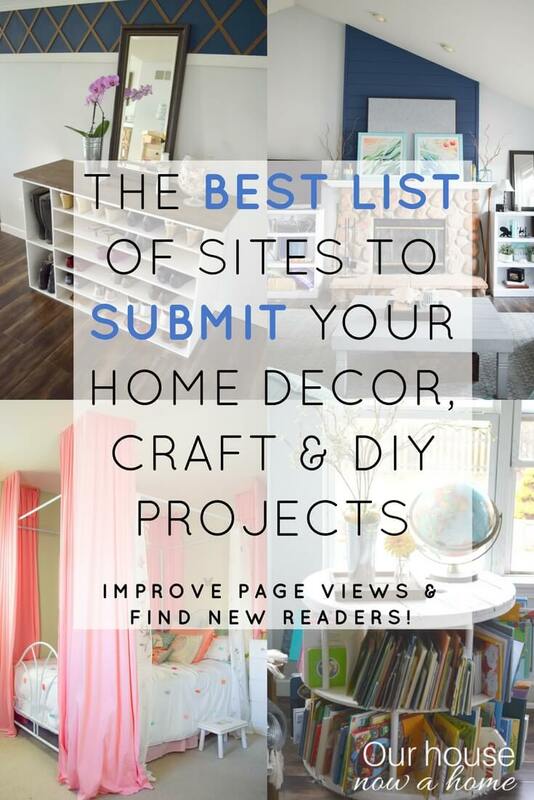 I’ll definitely have to check it out and give this project a try. This is such an adorable Easter craft. I have never really seen a craft made out of moss like this! I almost forgot that Holy week is about to start. Good thing I was able to read this post. Thanks for reminding me about Easter. Will make this as it’s very easy and timely!